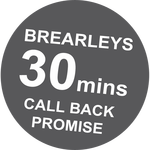 At Brearleys we have a large team of specialist family and matrimonial solicitors. We understand that our client’s are often seeking legal advice on these issues at a time of high emotion and stress. Our team is dedicated to providing a high quality, professional, friendly, and efficient service, in a sympathetic manner. Most of our work comes from repeat clients or recommendations from previous clients, in which we take a huge amount of pride. The team specialises in a range of matrimonial problems and those specialisms are recognised by quality standard marks. Some of our solicitors are members of the Children Panel and some of the Family Panel both these panels are Law Society accreditations. We also endeavour to undertake all our own advocacy and one of our solicitors has Higher Rights of Audience recognising her advocacy experience. We also have solicitors with Resolution accreditations, with specialising in Domestic Abuse and Children work. Emma Clough is also a Collaborative lawyer and Family Mediator. You can therefore rest assured that you will be provided with quality legal advice and practical solutions to your problems. Our friendly team is here to help and guide you to a solution. We offer an initial FREE 30 minute interview, where we can advise you upon your options and any potential cost. We are able to offer LEGAL AID where eligible, and competitive, fixed fee rates and packages. We have flexible payment terms and try to accommodate all your needs. Contact us now either by calling the office, or emailing us on emmaclough@brearleyssolicitors.com.